Meluni joins the Sport Management faculty after having spent the past four years as an adjunct professor in the department. Meluni has over 18 years of experience in the sport industry, including two years as Vice President of Sales and Business Development for both 805 Stats and Infinity Sports and Entertainment. 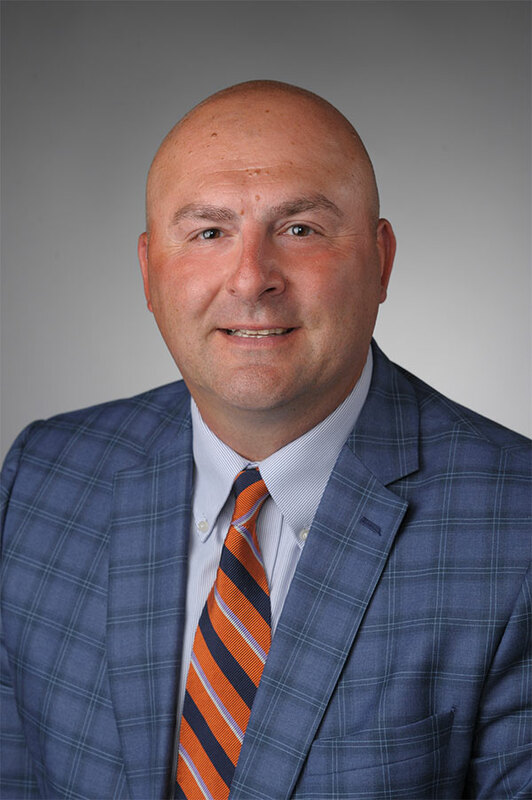 He spent five years as the Vice President of Sales at SIDEARM Sports, where he negotiated and signed agreements with the University of Texas, University of Kansas, the Heisman Trophy, and the Maui Invitational as well as hundreds of Division I, II and III institutions. Prior to working in the digital space, the Syracuse native spent 10 years with IMG College, the multi-media rights holder at Syracuse University, where he maintained a client base of over $1.1 million per year. Meluni earned his Bachelor’s Degree from Ithaca College in Sport Management, where he was captain and NCAA All-Region infielder for the Bombers’ baseball team. In 1999, he was selected to attend the prestigious NCAA Leadership Conference. He then attended Florida State University as a Graduate Assistant in the Seminoles’ ticket office, and earned his Master’s Degree in Sport Administration in 2001. He worked as a Marketing Assistant at FSU, assisting with football, women’s volleyball, men’s basketball, baseball and softball. Meluni is an officer with the New York Collegiate Baseball League, serves on the board for the Camillus Softball and Baseball Association, coaches multiple travel teams for the Camillus Wildcats and is a volunteer assistant coach for the West Genesee varsity baseball team. He lives in Warners with his wife Kristina, and their sons Landyn and Nicholas.